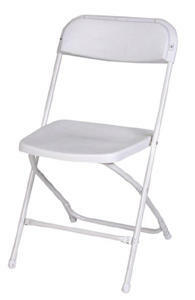 White Samsonite Folding Chair. Metal Frame w plastic seat and back rest. A lightweight, economical, and versatile multi-purpose chair.